Score big this summer with WorldRemit - win $1000! We have a fantastic Summer Tournament Campaign for you to promote: Kick off this summer in style with a chance to win 1000 USD with WorldRemit and Kwesé TV, pan-African broadcaster of the FIFA World Cup. Until July 31st, when you send money to an African country, you're in with a chance to win. It's really that simple - send money to someone in Africa and both you and the person you're sending to could win 1000 USD each! Description: Send a cash pickup, bank transfer or mobile money transfer to someone in Africa, and you'll be entered into the competition to win 1000 USD each!. T&Cs: The Prize Draw will open on 14 June 2018 (the “Opening Date”) and will close on 31 July 2018. All entries must be received by us by 23:59 BST on the Closing Date. Any entries received after this time will not be eligible to win the Prizes. To enter the Prize Draw all you need to do is register with WorldRemit (if not already a customer) and send money to Africa via WorldRemit (excluding Airtime Top Up). Each valid send transaction constitutes an entry and there are no limits on the number of times you can enter. WorldRemit reserves the right to refuse entries or participants who, in our opinion, are not acting in accordance with these terms and conditions. Please remember to replace !!!id!!! with your Awin publisher ID. If you have any questions or would like to run additional exposure, please do not hesitate to contact us. Thank you for continuing to support WorldRemit. We have a great new offer for you to promote: Send money with WorldRemit using the code '3FREE' and you'll pay no fees on your first three money transfers! This offer is available in US, UK, Canada, Australia, Spain, Italy, France, Switzerland, Austria and Belgium. Description: Send money with WorldRemit using the code '3FREE' and pay no fees on your first three money transfers. T&Cs: The promotion code 3FREE provides the user with a 100% discount on fees on their first three money transfers with WorldRemit. The code must be applied during the payment process in the ‘PROMO CODE’ section to benefit from the discount. You must apply the code to your first, second and third transactions in order to benefit from the discount. If the code is not applied to your first transaction it will not be valid for your second and third transactions and if the code if not applied to your second transaction it will not be valid for your third transaction. This offer can only be redeemed by new customers to WorldRemit only. We have a fantastic new offer for you to promote: the first 1,000 customers to use the code FREE20 can get 20 USD back when they transfer 100 USD or more. Even better, the 100 USD can be sent over multiple transactions! Description: Join WorldRemit and we'll give you $20 after you've sent $100 from the USA using the code 'FREE20'. T&Cs: The offer is valid to the first 1,000 people who sign up with WorldRemit with offer code 'FREE20' and send a minimum of 100 USD from the USA either in a single transaction or multiple transactions. This is the 'Qualifying Criteria' for the offer and is only applicable for new customers to WorldRemit. The offer code must be applied in the 'Referral Code' box during the signup process to benefit from the promotion. The first 1,000 people who meet the 'Qualifying Criteria' will be emailed a 20 USD discount voucher within 7 working days. The voucher will be valid for use on one money transfer transaction for a period of period of 180 days. We have a fantastic new offer for you to promote: the first 1,000 customers to use the code FREE20 can get 20 GBP back when they transfer 100 GBP or more. Even better, the 100 GBP can be sent over multiple transactions! Description: Join WorldRemit and we'll give you £20 after you've sent £100 from the UK using the code 'FREE20'. T&Cs: The offer is valid to the first 1,000 people who sign up with WorldRemit with offer code 'FREE20' and send a minimum of 100 GBP from the UK either in a single transaction or multiple transactions. This is the 'Qualifying Criteria' for the offer and is only applicable for new customers to WorldRemit. The offer code must be applied in the 'Referral Code' box during the signup process to benefit from the promotion. The first 1,000 people who meet the 'Qualifying Criteria' will be emailed a 20 GBP discount voucher within 7 working days. The voucher will be valid for use on one money transfer transaction for a period of 180 days. As you are a huge part of our growing success, we wanted to update you on our very latest news. We have recently become the Official Money Transfer Partner of Lebara, a leading European mobile telecoms operator. Our partnership will allow 3 million Lebara Mobile and Lebara Money users to use WorldRemit's digital money transfer service seamlessly, directly from the Lebara app and website. We will also have co-branding present in Lebara's full retail estate stores and in Lebara simpacks sold in 260,000 stores across Western Europe! 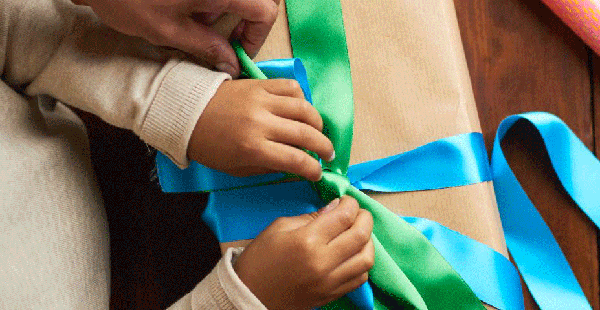 Every year we extend our service into more and more send and receive countries. Most recently, we launched our service in New York State. We have added faster and more convenient payment methods such as Apple Pay and Android Pay. We have grown our customer base and now serve more than 2 million customers around the world, sending from over 50 to over 145 countries. The partnerships we make are equally important, such as our partnership with Arsenal FC in 2017. This new partnership with Lebara is no exception. 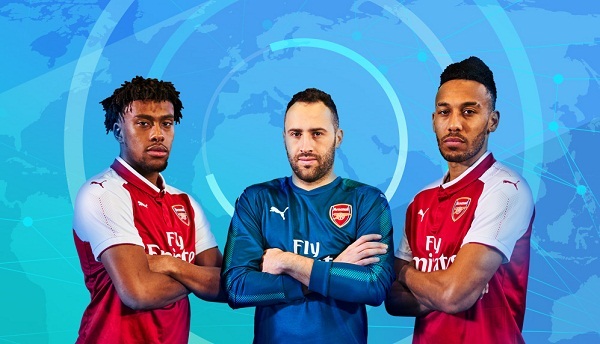 As part of our partnership with Premier League club, Arsenal*, WorldRemit have launched Speed Stars, a reaction-based game played by stars David Ospina, Alex Iwobi and Pierre-Emerick Aubameyang (watch the video here). Try your luck against them as you tap the country hotspots as quickly as possible to highlight the global money transfer routes that we support. The fastest person to tap 50 countries goes to the top of the leaderboard and has the chance to win a signed Arsenal shirt! *WorldRemit are the first Official Online Money Transfer Partner for Arsenal, using the power of football to connect and inspire communities. Please remember to replace !!!id!!! with your Awin ID. WorldRemit - We've Launched in New York! We've Launched in New York! WorldRemit has launched in the Big Apple, bringing its fast, low cost money transfer services to the city that never sleeps – and the rest of New York State too! Home to some 20 million inhabitants from all over the world, New York can now send money to 147 countries at the click of a button. We’d also like to remind you of our fantastic offer for new customers who get their first transfer FEE-FREE. To redeem, simply use the code ‘FREE’ on the payment page. Don't forget to replace !!!id!!! with your Affiliate Window ID. There are also various banner images in different sizes to choose from on AWIN. WorldRemit have got a fantastic offer for first-time customers giving them the chance to send money FEE-FREE to more than 125 countries – quickly, easily and securely via smartphones, tablets or computers. Customers can select their country to get started and use the promotion code ‘FREE’ on the payment page for their LIMITED TIME fee-free first transfer. T&Cs: The promotion code FREE provides the user with a 100% discount on money transfer fees on their first transaction with WorldRemit. The code must be applied during the payment process to benefit from the discount. This offer is valid for one transaction. Don’t forget to replace !!!id!!! with your Affiliate Window ID.